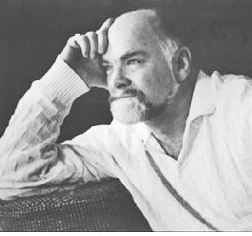 PAL Ottawa was recently the incredibly grateful recipient of an endowment left to our work by the late performer, theatre manager, and arts administrator Paul (Robin) Lapointe, who passed away on November 6, 2017, leaving behind his beloved partner of 34 years, Christian Ma. Our sister organization PAL Toronto was also the recipient of a similar legacy. Lapointe (whose stage name was Robin) was a veritable workhorse at the Ottawa Little Theatre, starting at the age of 15 and going on to appear in 25 separate productions from 1950-55, including Elizabeth the Queen, A Midsummer Night’s Dream, Jack and the Beanstalk, Blood Wedding, Toad of Toad Hall, and The Merry Wives of Windsor. He also served as an assistant lighting designer for The Voice of the Turtle (the 9th-longest running non-musical play in Broadway history and a rarely produced gem that sees a revival at Perth’s Classic Theatre Festival in 2019). Paul eventually left the national capital region for Toronto and other southern Ontario environs (including Vineland and Stratford) where he worked as a performer, writer, broadcaster, and theatre manager. His work brought him into contact with the legendary generation of Canadian theatre artists who helped build the professional regional live theatre circuit. He worked at the landmark Crest Theatre of Toronto, and became friends with the likes of Marigold Charlesworth and Jean Roberts. (Some Crest Theatre veterans are now resident at PAL Toronto’s location). He was also associated with the Red Barn Theatre at Jackson’s Point, Ontario (Canada’s oldest continuously operating professional summer theatre until it was destroyed by fire in 2009). Paul’s sister Louise Needham (herself a veteran of the Canadian arts scene, having worked “the best job of my life” at the National Arts Centre from 1973-86 doing everything from administrative work to sewing curtains for operas) shared with PAL Ottawa that her family had a great love of the arts. 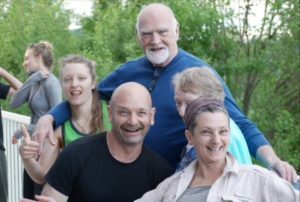 With five sisters and three brothers, Paul grew up in a Rouyn-Noranda arts family bound together by a social conscience and love of natural beauty. Their mother was a musician, and their father owned The Lido movie theatre, which proved a special treat for the kids because until the 1960s, children under the age of 16 were legally banned from going to Quebec movie theatres both because of a 1927 Montreal fire tragedy and pressure from the clergy. Paul Lapointe adored spending time with his very large family at gatherings each summer in Quebec. Louise, who always kept her hand in amateur theatre (often doing everything from props to assistant direction at community productions that played in Gloucester High School) married broadcaster Ed Needham (who hosted a long-running show on Toronto’s CFRB) and spent the past 20 years dividing her time between her Quebec cottage and Florida. It was during the summer that Paul and other family members would gather for special reunions.